Google chrome has become one year old already, and always been into improvements and betterment with suggestions from developers and users. 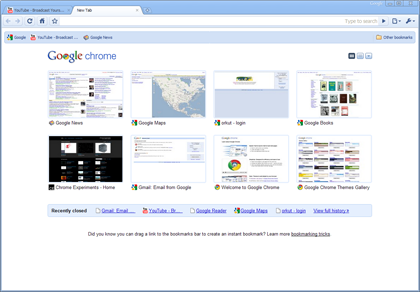 Now finally the Chrome team has released the Google Chrome 3 stable version which has got a lot of fixes to the bugs, other improvements and new features. 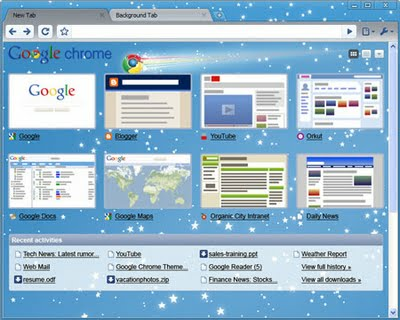 New tab looks changed – The new tab which had a set of most opened web pages, and in the right there were the recent searches and bookmarks, has been changed to a better look. The most browsed pages, cover the top area and below that is the recently closed and the full history links. The main change that you can see is the customizable thumbnails of the most visited pages. You can drag those thumbnails and place them to the position you wish, and also can edit or remove the thumbnail from the list. Omnibox changes – Omnibox is the address bar + suggestions bar together where while typing something, you get instant few results or suggestions in the drop down itself. There have been changes made to it and icons have been introduced to show the difference between the suggestions, history, bookmarks etc. 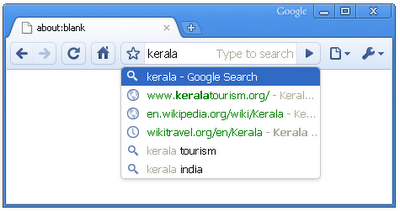 Themes – The themes have come around as well, too give a more geeky and interesting look for the chrome browser. These themes were in the beta releases and never been in the previous stable releases, so you would enjoy using the themes and customizing the browser with good colors. HTML5 capabilities – The flash player for chrome issue now won’t be there as such, as this HTML5 allows to play and embed videos in pages without a need of a plug-in. 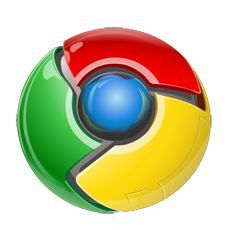 Go to google.com/chrome for the download to begin and install. But i noticed that the download speed is decreasing steadily. that was really annoying.